Established in 1781 by the Spanish government to control the sale of playing cards in the American colonies, the purpose was to administer the importation of playing cards from Spain. Packs had secret markings to facilitate the detection of fraud, and a hierarchy of uniformed officials controlled operations. At some point this was superseded by Peruvian laws when it became a state monopoly garnering revenues for the national treasury. imported high quality packs (including English & French packs), 8 centavos per pack. Packs manufactured in Peru, 2 centavos per pack. The law does not state how the payment of the taxes was controlled. 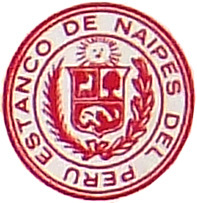 The Estanco de Naipes appears to have been preceded by the Government's Caja de Depósitos y Consignas, Departamento de Recaudación, Estanco de Fósforos y Naipes - but further details are not currently available. 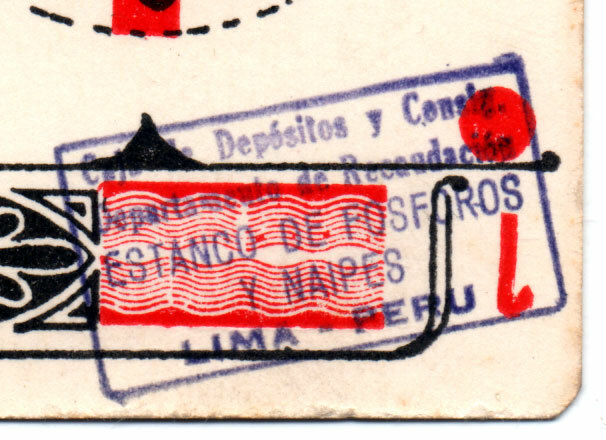 In Law no.4936 (Item 'G', Jan. 1924) The Estanco de los Naipes was created. 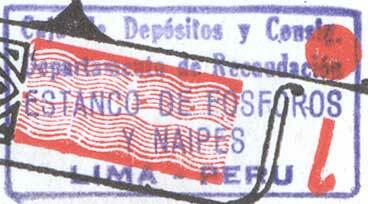 Above: Peruvian "Estanco de Naipes" tax band which was presumably wrapped around the outside of each pack (1924-67). The printer's name, which can be read at the lower right-hand end of the tax band, is: Lit. 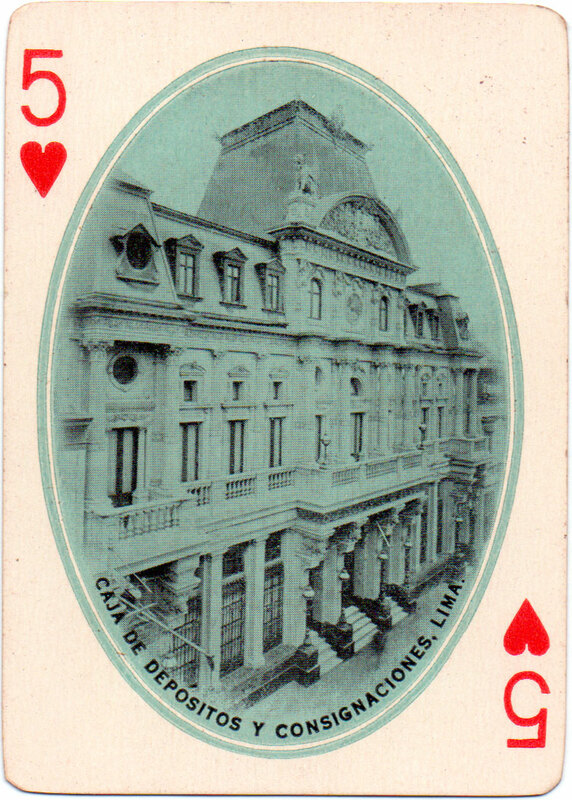 T. Scheunch, Lima. 'TOYO Playing Card' manufactured in China. Plastic playing cards, 50.00 soles per pack. Home produced playing cards continued to be taxed according to established national laws.